There is a desperate need for effective leadership today: in our nation, in our churches, in our families, and even in ourselves. The Bible uses the term armorbearer to describe leaders who offer help, support and strength to those around them. These types of servant-leaders are needed now more than ever. Using Scripture as the guide, Armorbearers takes readers down a path of self-discovery, pursuing greatness by developing character that is forged on the anvil of self-restraint and tested through the heat of self-discipline. Packed with inspiring stories and powerful lessons, Armorbearers reveals the four revolutionary choices every leader must make, risking their own significance in order to encounter God in life-altering ways. Are you ready to become an armorbearer? 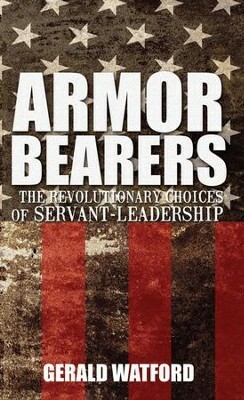 I'm the author/artist and I want to review Armorbearers: The Revolutionary Choices of Servant-Leadership - eBook.